Thé de lImmortalité, Vitis pentaphylla, Xian Cao, Xianxao. In the late 1970s, Japanese scientists began discovering jiaogulan's illness-prevention and therapeutic qualities. What they uncovered was an herb very similar in quality to ginseng, yet in some ways superior. They found jiaogulan to function as both an adaptogenic herb and as an antioxidant herb, containing many health-giving saponins (chemical compounds having a soapy characteristic), as well as trace minerals, amino acids, proteins, and vitamins. Jiaogulan contains a large quantity of these saponins, known also as gypenosides. The structure of the gypenosides is very similar to the panaxosides (also known as ginsenosides) found in ginseng. There are four times as many saponins in jiaogulan as there is in ginseng. Some of those saponins are identical to the panaxosides in ginseng and some of them turn into panaxosides when taken into the body. This results in a greater number of saponins than ginseng, which may translate into a more powerful regulatory effect on a number of bodily systems; like blood pressure, the reproductive system, the digestive system, the immune system, mental functions and more. 1, 2. 1. Song, W.M., et al. Comparison of the adaptogenic effects of jiaogulan and ginseng. Zhong Cao Yao. Chinese. 1992; 23(3):136. 2. Wei, Y., et al. The effect of gypenosides to raise White Blood Count. Zhong Cao Yao. Chinese. 1993; 24, 7, 382. Jiaogulan is used for high cholesterol, high blood pressure, and improving heart function. It is also used for strengthening the immune system, increasing stamina and endurance, increasing resistance to environmental stress (as an adaptogen), improving memory, and preventing hair loss. 7. Supports the normal sugar levels of the body 8. Jiaogulan (Gynostemma pentaphyllum) is a popular herb in both China and Japan because of its effectiveness as a natural vitamin supplement. Jiaogulan, which grows wild throughout Asia, has been brewed for a beverage and used as in the southeastern provinces of China for centuries. Literary reference to the herb dates back to the Ming Dynasty (1368 A.D. to 1644 A.D). In China it is praised as as a Miracle Herbal Vitamin and the "Immortality Tea"
optimal homeostasis64 by balancing endocrine hormones, the immune system, the nervous system, and other biological functions. One folklore story states that in a village near Fanjing Mountain in Guizhou province, the inhabitants would drink Jiaogulan tea instead of the more common green tea and as a result many people there were living to 100 years of age. Gynostemma Pentaphyllum(Thunb.) is praised as the immortality herb due to its many health-giving qualities. chemical compositions and their antioxidant, antiproliferative, and anti-inflammatory effects. Extracts (50% acetone, 75% ethanol, and 100% ethanol) of the five GP samples (GP1-5) differed in their total phenolic, saponin, and flavonoid contents and in their rutin and quercetin concentrations. The highest level of total flavonoids was 63.5 mg of rutin equiv/g in GP4, and the greatest total phenolic content was 44.3 mg of gallic acid equiv/g in GP1 with 50% acetone as the extraction solvent. GP2 had the highest total saponin content of 132.6 mg/g with 100% ethanol as the extraction solvent. These extracts also differed in their scavenging capacity against DPPH and hydroxyl radicals, although they all showed significant radical scavenging capacity. 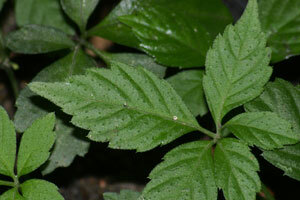 Gynostemma pentaphyllum helps maintain healthy body weight. Gynostemma pentaphyllum has developed an enormous reputation in Asia as a major aid in weight control programs. It has a double direction activity with regard to weight. It will help reduce weight in overweight people, and can help athletes, bodybuilders or excessively slim people gain weight. As a diet herb, it helps by accelerating the bodys metabolism. It also helps adjust blood sugar and reduce blood fat. Adjusting blood sugar and blood fat are critical steps in attaining healthy metabolic function, whether one wants to lose or gain weight. Yoshikawa K., Arimitsu M., Kishi K., Takemoto T., Arihira S. Studies on the constituents of Cucurbitaceae plants. XVIII. On the saponin condtituents of Gynostemma pentaphyllum Makino (13). Yakugaku Zasshi. 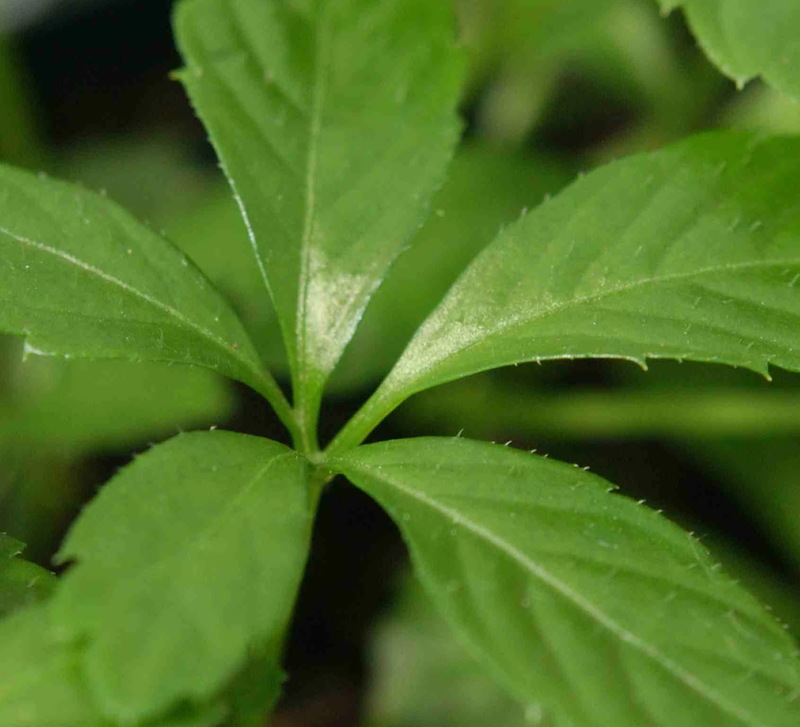 Gynostemma pentaphyllum helps maintain healthy blood pressure. GP gypenosides have been shown in many studies to increase blood circulation, decrease resistance in blood vessels, and induce vasorelaxation through promoting nitric oxide release. This combination of effects acts to normalize blood pressure. vascular endothelial cells and liver microsomes. CONCLUSION: Jiaogulan (Gynostemma Pentaphyllum) is true Rasayan (Rejuvenator /Antiaging ) herb as it is immunomodulator, adaptogen, antioxidant, anti-cancer, neuroprotective, nootropic and hepatoprotective.